What I can't get behind, however, is the noise my Converse make when I walk, making me sound like I've eaten a vat full of beans. 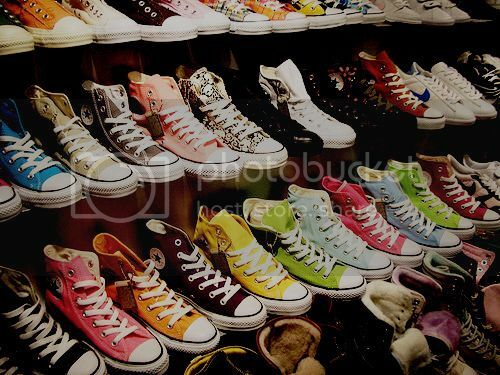 Now, Converse are awesome.What other brand of shoes comes in so many colors? And last for so long? And have such an illustrious history? I've got green ones, red ones, gold ones, teal ones, grey ones, chocolate ones, distressed ones, and "lite" ones. I love being able to match my sneaks to my outfits. Supposedly, buying them small will stop the squeak. However, I have high tops of my feet/arches, so smaller might not work. Thicker socks? Some sort of padding? Roughing up the interior? 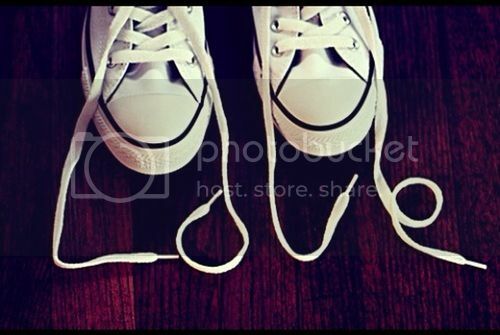 Anyone out there have any ideas on how to stop the dreaded Converse farts? Headed to Predators tonight, and then a fun weekend filled with taking Mollie to the vet, getting a windshield replaced and registering for gifties. Happy Friday, y'all.